Offensive conduct and offensive language use are both summary offences. This means they are tried within Local Courts. Charges pertaining to the use of offensive language and conduct in public might seem like a petty offence which may only result in a 6 penalty unit fine or maximum 3 months imprisonment for offensive conduct. However, with these charges comes a potential conviction which may be noted on criminal record. A criminal record, no matter how big or small, can have a lasting impact on your life and employment prospects. The impact may be implicit or explicit given the stigma surrounding criminal convictions. Hence, having the right legal team on your side gives you the best chance at ensuring you are well represented and that your defences are in order. Contact one of the Best Criminal Lawyers in order to make a difference when it comes to avoiding a criminal record. 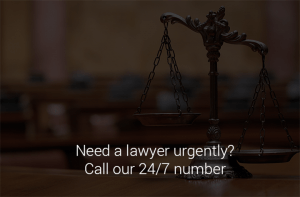 Engaging an experienced criminal lawyer can make or break your case and here at George Sten & Co, we have over 50 years experience in criminal law. We have a deep knowledge and understanding of the law and the court system and can use this to your advantage. Offensive conduct and offensive language are broad offences. The New South Wales Summary Offences Act 1988 provides a simplified explanation of what constitutes offensive conduct and offensive language. As such, it will be used as a guideline in explaining the respective offences. Offensive conduct, as per Section 4 of the Summary Offences Act refers to the fact that a person must not conduct himself or herself in an offensive manner in or near, or within view or hearing from, a public place or a school. Subsection 2 makes it clear that offensive conduct need should not stem merely from offensive language, there must be something more. The maximum penalty for this charge is a fine of 6 penalty units ($660) or 3 months imprisonment. Notably, a public place is defined as any place (not surrounded by water) or part of a premises that ‘is open to the public, or is used by the public whether or not on payment of money or other consideration, whether or not the place or part is ordinarily so open or used and whether or not the public to whom it is open consists only of a limited class of persons, but does not include a school’. Examples of offensive conduct include being drunk and disorderly in public, urinating in public or within school ground etc. In order to convict you of offensive conduct, the following matters must be proved by the prosecution beyond reasonable doubt. First, that you were in, near, or within view of a public place and second, that you acted in an offensive manner. As noted above, what constitutes ‘offensive’ is a subjective matter. Therefore, the courts usually consider each matter on its own merits, giving importance to the surrounding circumstances. This also gives rise to the defence noted in Subsection 3, which states that in New South Wales, it is a sufficient defence if the defendant satisfies the court that the defendant had a reasonable excuse for conducting himself or herself in the manner alleged in the information for the offence. Further, one can also dispute his/her identity as being of the person who acted in a manner which was offensive or suggest that in light of the circumstances, the conduct was not offensive. There is also a defence in stating that there was a reasonable excuse for the behaviour. As the charge indicates, offensive language is a crime characterised by the use of foul or ‘offensive’ language. Section 4A of the Summary Offences Act 1988 (NSW) denotes that a person must not use offensive language in or near, or within hearing from, a public place or a school. Technically, this means that any foul language could constitute offensive language. Most often, one hears of cases in the news where offensive language has been used against police. While the words themselves may be used colloquially by many of us, when used against authority in certain circumstances – there is a higher chance of conviction if there was no reasonable excuse for the language. If convicted, the maximum penalty for this offence is a fine of 660 Australian Dollars or 6 penalty units in NSW. The prosecution must prove that you were in, near or within view of a public space and that you used language that was offensive. As there is no stringent definition for what foul words constitute offence, the courts will usually consider each matter on its own merit. In particular, they will look at the words used, the surrounding circumstances, the intention or the perceived intention of the speaker and sometimes whether the act took place with the presence of a crowd. Once again, defences include questioning that you were the accused, that your language was not something that could be offensive and any reasonable excuse which could help explain your use of such language. It is worth contacting one of The Best Criminal Lawyers as the Courts do employ a reasonable person test. An experienced criminal lawyer will be able to give you a better indication of whether your conduct or language was in fact offensive in the eyes of the court. Having a well prepared case could mean you do not face harsh penalties and/or you may be able to get a Section 10 dismissal which could save you from having your conviction on criminal record. We are here to help you and if you have questions in relation to your case our staff are always on hand.